YanHuang Healthcare is proud to share with you the testimonials of our customers. These are not redacted and formatted recommendations but simple words of gratitude. If you wish to, you may leave a testimonial by contacting us via email or by writing in our testimonial book in the clinic. I can fully recommend Dr Qi for treatment to prevent anxiety! I have tried western drugs and Cognitive Behavioural Therapy with varying degrees of success but my course of acupuncture and massage has completely stopped the attacks and left me feeling like I did before. Many many thanks Dr Qi. 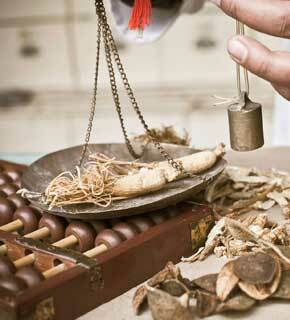 I have always had faith in Chinese medicine, and it is the practicer who makes the difference. I have had massages and acupuncture from Dr. Qi with good results. She has experience and good bedside manners. I thoroughly recommend her treatments. I have been having treatment from Doctor Qi at YanHuang Healthcare in Southsea for over a year. I have found Doctor Qi to be very professional and thorough in her treatments of my neck, shoulder and back. She is blessed with ‘X-ray fingers’ and has the ability to get to the source of the problem and treat the pain. Doctor Qi has skilfully and attentively treated and healed long-term injury/pain in my right shoulder – which after many years of pain is now totally pain free. I have no hesitation in recommending Doctor Qi to anyone experiencing similar pain – we are extremely lucky to have her based here in Southsea. With thanks! I have been seeing Dr Qi for some months now and I am extremely pleased with her treatments and service. She always listens to me and acts on the information with success. I have not felt this good for as long as I can remember. It was like I was existing under a haze of exhaustion and illness for years and just accepting that as the normal state of things. Her treatment has allowed me to sleep properly for the first time in my life and has freed me from repeated sinus infections that western medicine and surgery could not achieve. Her massages are tailored to my needs and are not brutal as I have found in the past with other people. Her prices are reasonable although it is difficult to put a price on well being! In conclusion, I have been recommending Dr Qi to anyone who asks why I look and feel so much better. I suggest you give it a try! I recommend Dr Qi to anyone who had problems with their energy and/or mood because it shows great improvement by using the acupuncture with the herbal tea. Dr Qi always trys the all the methods that she believes will give a good effect, such as the cupping and massage. I myself have chronic fatigue disease after having a stroke it took a while to pick up my energy but I got it back in the end and I always thank Dr Qi for all her encouragement and assuring me even if it takes time you will get it back and she never let me give up hope. First time customer and now a future customer. The best massage I have ever had! The pressure was fantastic, all my back pain is gone. I can fully recommend Dr Qi, she is a thorough practitioner and has been able to help my daughter who suffers with ME whereas traditional medicine could do nothing for her. She is now fit and back to work. Thanks Dr Qi! After having a motor accident I was left with severe whiplash and contacted Dr Qi for a session but the severity of the injury made me decide to have further treatment and I am pleased that I made that decision as I am now feeling very much better and will continue with my sessions as every time is an improvement. Dr Qi has helped me no end with my recovery and I am in debt to her and her ability to continue to my make my injury’s problem free. My partner also sees Dr Qi for deep tissue massage for an old shoulder injury. He has tried western remedies and therapies for many years to no avail. After a few sessions with Dr Qi, he no longer suffers the constant, dull ache and occasionally comes in for further massage just to keep the shoulder in full working order. A lovely lady with experience and compassion. After suffering for a number of years from arthritic pain in my knees, which prevented my being able to get a full nights sleep, plus the consequential decrease in mobility, that despite various physiotherapist advice, exercise, pain killers and cortisone injections become steadily worse. I was recommended to consult Dr Qi. After 2 sessions of acupuncture and massage, the pain in my knees had almost gone and my mobility had improved to the extent that I could dispense with my walking stick. After the forth session, except for a little tightness the pain in my knees had almost gone and I was able to meet my Fitbit daily target of 10,000. It is difficult to express the extent of my gratitude to Dr Qi for the amazing outcome of her treatment, her sympathetic approach, her professionalism and skill. I am 86 years old as is my wife who has now also signed up for a series of sessions. I have no hesitation in recommending any one to have a consultation with Dr Qi. After a long period of back problems that I couldn’t resolve, I decided to try regular massage in YanHuang Healthcare. After two weeks time I felt completely different, so good I started light training, which I had to stop because I suffered injury. Also can normal working even when busy, despite doctor in my clinic advised me to change type of job (physical). I really feel that I am on the best path back to health after a few months.. also in a better mood. I would like to thank Dr Qi for it!